With the three day weekend coming up, there are many great activities and events going on this weekend. So check out today's Top 10, and celebrate Columbus's arrival to the Americas! October 12th denotes the day that Columbus arrived in the Americas in 1492. The day became an official state holiday in 1906. We know of Columbus Day because most schools and business are closed on that day and, hence, a three day weekend! Many Long Islanders like to take advantage of this first three-day weekend since school has started. There are many events going on, so see if you can check one out this weekend! Can't make it to any of the events above or want something a little different do not forget the other things you can do on the island. 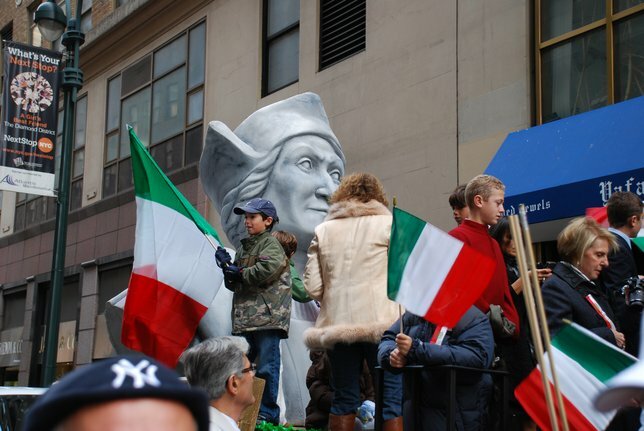 What do you plan to do this Columbus Day weekend on Long Island? Tell us in the comments below! Subject: LongIsland.com - Your Name sent you Article details of "Columbus Day Weekend: Family Fun, Festivals, Hair-Raising Haunts & More Great Entertainment!"